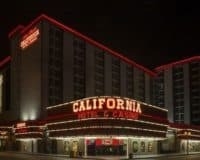 The Roulette Motel, 2019 Fremont Street, provides guests with affordable Vegas accommodation. 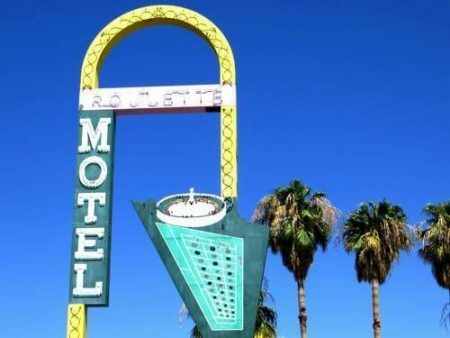 The Roulette Motel is an affordable property, which provides comfortable rooms and basic facilities, which is located Downtown reasonably close to the world-famous Las Vegas Strip (around an 8-minute drive). This makes it an excellent choice for anyone who wants to get maximum value from their Las Vegas stay. It provides a limited range of amenities, with all of the necessities included and none of the extras, which add to the cost of Las Vegas accommodation. Thus, it doesn’t have things like pools or spas but does provide free parking, easily accessible WIFI, laundry facilities and a daily cleaning service. 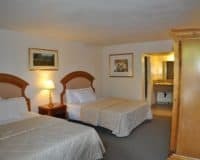 The rooms at the motel are decorated with a similar philosophy, offering private bathrooms and comfortable beds, without the televisions, living spaces and kitchens that add to the bill at the end of your stay. Luxury living it is not, however, good value it most certainly is. The Roulette Motel is not the kind of place that wins awards or makes dreams come true, however, it does exactly what it will: providing guests with affordable Vegas accommodation that is within touching distance of the city’s finest sights. 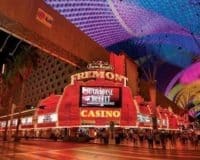 1.2 mi (1.9 km) from Fremont Street Experience. 2.6 mi (4.3 km) from Las Vegas Premium Outlets. Within 2 mi (3 km) of the Fremont Street Flightlinez and Las Vegas City Hall.